Karunya Entrance Exam (KEE) 2018 (करुण्य विश्वविद्यालय प्रवेश परीक्षा): The Karunya University is going to conduct the engineering entrance exam for the all the students who are seeking admission in Bachelors of Technology. The interested applicant can apply for the Karunya Entrance Exam Application Form. The dates for the form are not announced yet. But it is expected that the form will release in December month. The aspirants are required to submit the form before the due date to appear in the exam. The KEE 2018 Exam will be conducted in the month of April. The students who will qualify the exam will be called for the counseling procedure. The students who are seeking admissions in Karunaya University. They have to submit the Karunya University Entrance Exam Application Form 2018. The aspirants have to submit the form before the deadline. The students can apply for the online form on the official website. or they can click on the link provided here. We will provide here the direct link through which you can apply for the KEE Online Application Form. The students have to follow some precise procedure for the submission of the online form. Candidate will get the application form Online as well as Offline. Here is the step to apply for the which is given as follow. Steps to submit KEE Registration 2018. The candidate has to register the email, name & mobile number on the official website. After that, the applicant will receive the application number and passcode through the mail or may be by SMS. Pay the application fee by DD, Debit and Credit Card. Then fill the application form carefully and upload the required document copy. Upload the Photo and Signature scan copy. Submit the KEE 2018 Application form. Eligibility Criteria for the application form is given below. Only an eligible applicant can apply for the Karunya University Entrance Exam. Applicant should have to pass their 10+2 from recognized education board in first attempt only. Also, the applicant must be score minimum 50% of marks in the Physics, Chemistry, and Mathematics Subject. Following are the important dates of Karunya University Entrance Exam 2018 (KEE) given here down. All the above gives dates are taken on the basis on the last year important date. After the announcement of the official notification will update the dates. Everyone needs the examination syllabus to get prepare for the examination. Through the Exam Syllabus aspirants cna study all the topics which are necessary for the exam. The question paper will be based upon below given topics. The aspirants cna also check the Karunya University Entrance Exam Syllabus 2018 in brief. Through the examination paper pattern, the applicants will be able to get the idea about the subject marks for that they do their study planning. Following are the Exam Pattern of Karunya University Entrance Exam 2018 given below. Here are the examination centers of the Karunya University EEE Center given as follows. The students who will submit the application form successfully only they will be able to download the admit card. 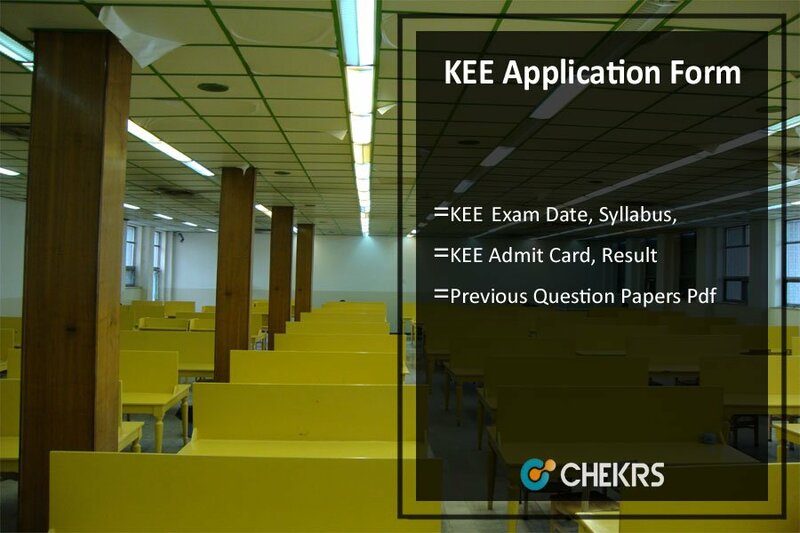 Through the KEE 2018 Admit Card applicant will get to know about the Examination Center and date of the exam. Candidate will be able to download their Admit Card from the official website. They have to carry the admit card on the day of examination. Without admit card no student will be allowed to enter the examination center. One more thing candidate has to carry their Photo Identity (Id) in the examination center along with admit card for proof. This entrance examination is commonly called KEE. A Large number of the candidate applies for the entrance application form every year. The KEE Result 2018 will be announced in the month of May. The selected aspirants will be called for the counseling process. During the Karunaya University Counselling, the seats will be allotted to the students according to their ranks. For feedback and queries regarding Karunya Entrance Exam 2018, you can contact us by commenting in the comment section given below.